My clients are just like yours: They want to Skype, email and text. But here's why you still need face time. When the daily avalanche of emails and voice messages gets overwhelming, it’s so tempting to retreat to my office and start typing replies and returning phone calls. That’s one of the biggest mistakes I can make. No matter what industry we’re in, we’re all in the people business. We’ll only be successful if we really get to know our customers and colleagues. Many of my tech marketing clients are so busy that they now prefer texting to even emails or calls. Skype, WebEx and audio calls are convenient and create the illusion we’re actually having a meeting -- but nothing beats the power of a truly personal, face-to-face connection. 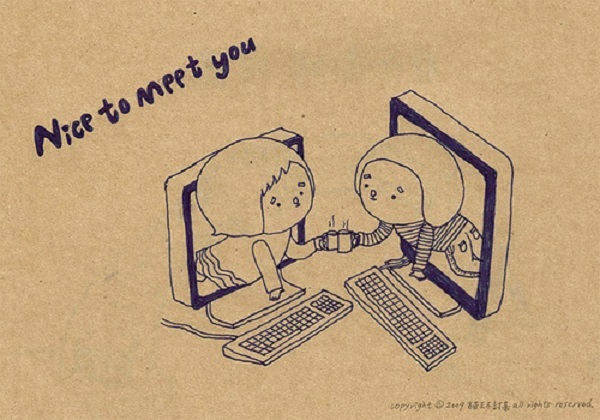 What can you learn from an in-person meeting that you can’t from a virtual one? 1. You're off the record. In Silicon Valley and many other places, there are few private offices. Many of my clients work in cubes and can’t have private telephone conversations with me or anyone else. This means that when I talk to them on the phone, I might not get to hear the most important information they can share: the unique team dynamics or executive’s personality quirks that would make or break our ability to match an expert consultant. Over sushi or a latte or a walk around the block, my clients can let me know more -- with more color -- than they can over the telephone or in an email. 2. Make use of not-so-small talk. Most business conversations are focused on solving a problem quickly and efficiently, while business relationships are built when people take the time to share and learn more about each other. That happens more naturally in person than over the phone or in an email. What cements a bond between people? Small talk about a favorite team, passion for pecan pie, parenting challenges, and the other bits and pieces that make us unique and interesting. I bought a new handbag. It’s faux ostrich and it’s pink. Really pink. I’ve received compliments on it from every woman (and one man) I’ve met with in the past two weeks. I had worried it was perhaps not professional enough for business. But the style and color were bold, “spring-y” and made me smile. Who knew my $60 knock-off handbag would be such a great conversation starter and deliver such a strong personal statement? How do you do that over Skype? 4. Read the body language. Facial expressions often communicate so much more than words. We host consultant coffees and invite a handful of independent consultants to our office in order to better understand the nuances of each professional in a relaxed setting. We need to know what isn’t on the resume that makes each person unique. In their eyes and in their body language, we can see confidence, empathy, fear, friendliness or sincerity. That ability to “read” a candidate beyond their keywords is a huge competitive advantage for us. 5. Learn where the action is. I find out so much when I visit one of my clients in their office. Is the lobby bright and inviting with recent accolades proudly displayed? Do employees seem happy? Is there free juice and healthy snacks in the cafeteria? Brand new Herman Miller chairs in the conference room? Is everyone moving in slow motion or is there a palpable buzz? The environment speaks volumes and may factor into your business proposal or plan. By understanding company dynamics, we can communicate more effectively to meet their needs. I love new technologies that allow me communicate with others more freely and quickly. But as a business owner, I try to remember customers want to work with someone they can relate to, not just buy from. René Shimada Siegel is Founder and President of High Tech Connect, a specialized consultant placement firm for marketing and communications experts. You can follow her on twitter at @renesiegel.